That looks like a good spot to kill someone. But how could I get rid of the body? Those are the kind of macabre thoughts that have been swirling around in my brain ever since I first heard New York Times bestselling author Cara Black describe how difficult it is to find a place to kill a character in one of her mystery novels set in Paris. It's two years later and I still haven't found the perfect spot for my imaginary crime. 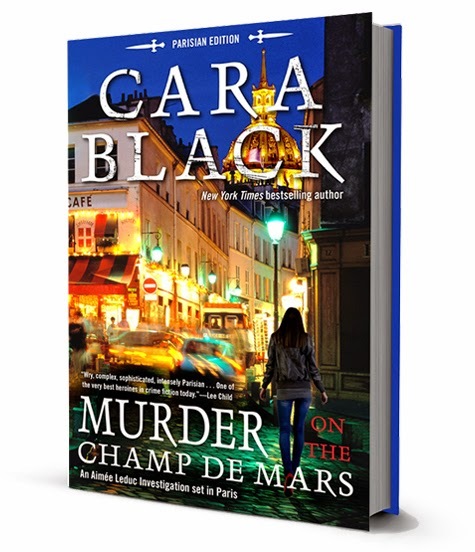 If you would like to delve into Cara Black's gripping series about private investigator Aimée Leduc, I'm hosting a giveaway of Murder on the Champ de Mars. To enter, simply click here and leave a comment on my Facebook page. Mon Dieu! Parisian P.I. Aimée Leduc, star of Cara Black’s ultra-chic New York Times bestselling series, finally has the clues to solve her own father’s murder—and the truth is sure to scandalize fans! Paris, June 1999: Aimée Leduc has her work cut out for her--running her detective agency and fighting off sleep-deprivation as she tries to be a good single mother to her new bébé. The last thing she has time for now is to take on a personal investigation for a poor manouche (French Gypsy) boy. But he insists his dying mother has an important secret she needs to tell Aimée, something to do with Aimée's father's unsolved murder a decade ago. How can Aimée say no? The dying woman's secret is even more dangerous than her son realized. When Aimée arrives at the hospital, the boy's mother has disappeared. She was far too sick to leave on her own—she must have been abducted. What does she know that is so important it is worth killing for? And will Aimée be able to find her before it is too late and the medication keeping her alive runs out? Oh! I need to pick up this book. 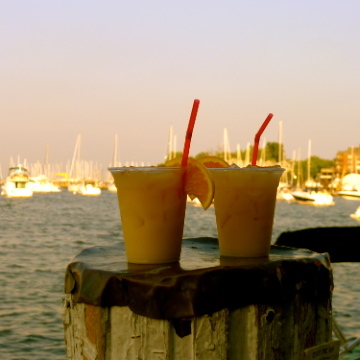 Thanks for the review & share!